Dr. Oketokun does not accept medical insurance for the following services: 1. Pain consultation and management 2. Immigration physical/civil surgeon services 3. DoT physical 4. 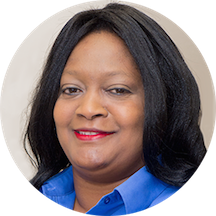 Concierge medicine Dr. Adefolaju Oketokun, M.D., MPH established Reliance Health Services PC in 2010, after years of experience working as a general/internal medical practitioner in both Delaware and the District of Columbia. An Alumni of Spartan Health Sciences University (St. Lucia) and Virginia Commonwealth University (Virginia), Dr. Oketokun has a sound professional background, which has influenced her dedication to and practice of medicine. At Reliance Health Services, every patient is treated with dignity and importance, and deserving of the consultation time that each health situation presented requires. Reliance Health Services PC has experienced a commendable level of growth since inception and is constantly seeking out ways of improving the quality and delivery of its services. As a way of giving back to the community, Reliance Health Services PC grants free internship opportunities to a number of medical assisting program graduates from schools within the DC-MD-VA areas; it also mobilizes financial resources to help victims of natural disasters. The practice is currently exploring avenues of expansion within the District of Columbia.